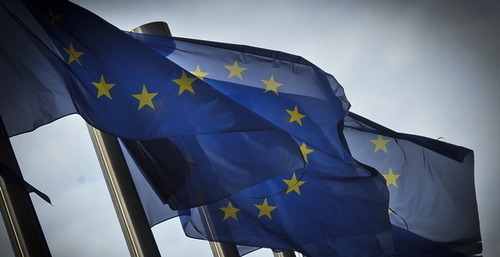 In a joint editorial in the Financial Times, British and German finance ministers George Osborne and Wolfgang Schäuble, said it was relevant that reform of the European Union needs to guarantee fairness for countries that do not use the euro currency. Also, it is important that EU countries outside the euro zone are not disadvantaged by deeper integration of the currency union. The pair added: “Future EU reform and treaty change must include reform of the governance framework to put euro area integration on a sound legal basis, and guarantee fairness for those EU countries inside the single market but outside the single currency.“ So, what we see is Germany accepting that there needs to be these proper safeguards put in place as further changes are made for the eurozone. It is the first time Germany has publicly indicated that countries such as the UK must not be put at a disadvantage by eurozone nations. Britain joined the EU in 1973, but like Denmark and Sweden, it kept its national currency and monetary policy when the euro launched in 1999. We know that Germany sells more to the UK than any other country in the world and it is clear they will be keen to maintain free trade and friendly relations were we to vote for a future outside the EU. British Prime Minister David Cameron has promised to negotiate sweeping reforms to the EU and, if re-elected next year, to hold a referendum by 2017 on whether Britain should stay in it. Earlier this month, Cameron outlined the areas in which he planned to reform Britain’s relationship with Europe, including an effort to prevent mass migration and EU interference in police and judicial matters. Germany’s coalition government is considering proposals to limit the time unemployed migrants from other EU member states can stay in the country looking for a job. An official report also recommended that welfare abuses by EU migrants should be punished by a temporary entry ban. But, Cameron’s Conservatives are expected to suffer in European elections next month as voters increasingly turn to UKIP to express their frustration with perceived meddling in British affairs by European authorities.